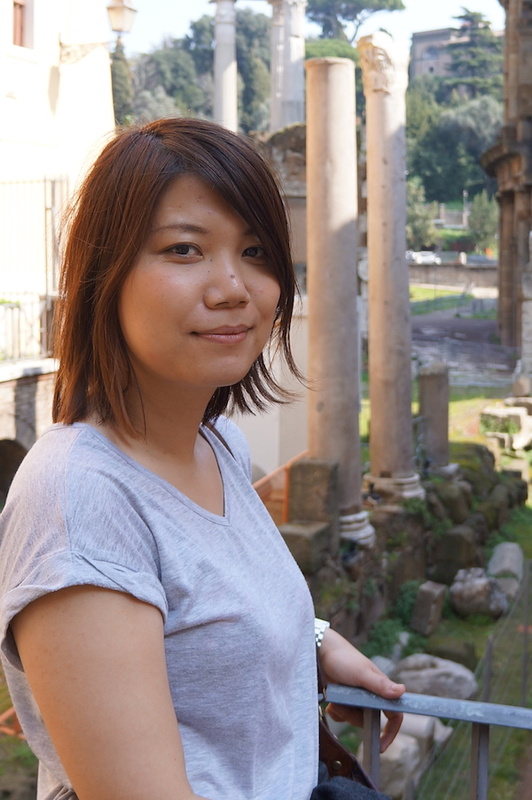 Saeko had been telling me for some time that she would have loved to come back to Rome to explore its food, monuments and people with a native Roman. 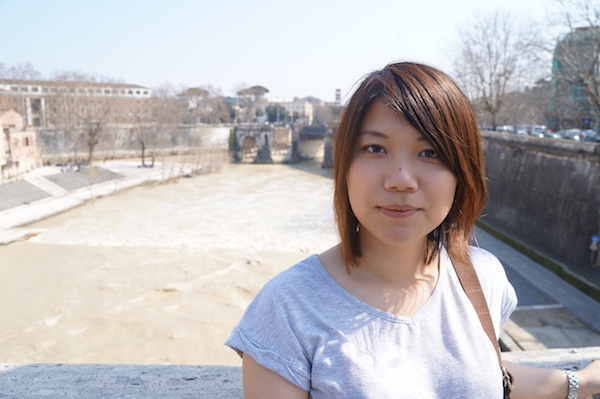 She had been in the eternal city already a couple of times, but with other Japanese, and she wanted to explore the city in a different way. 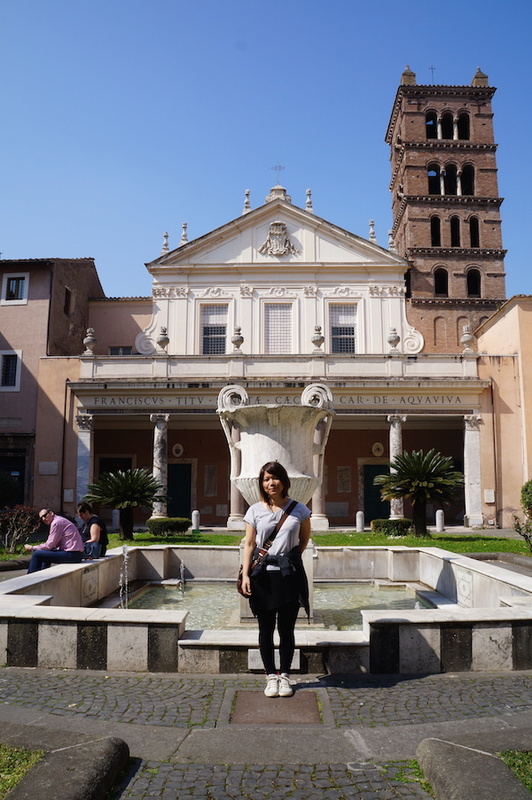 So I thought why not invite Saeko to Rome and finally “live” through Japanese for a few days? She accepted eagerly. That’s how the adventure started. An adventure which helped me understand many, many things (not only about Japanese and Japanese people). I got out of my place and started walking towards the station. I admit, I was a bit worried. If I was struggling with easy 30 minute conversations on Skype, and I had been that way for the last 2 years. What would happened now that I had to hold a conversation for hours ? Skype is an artificial environment. You usually only talk to one person, without background noise, there’s no physical interaction with other people, extra distractions, etc. Now, Imagine having a conversation while walking, trying to dodge people, avoid being run over by cars as you cross the street, while also trying to understand the other person you’re with? All of these supposed “distractions” turned out to be a huge help, instead of a hindrance, but I would only figure it out later. So, I was still thinking about these things when I saw Saeko waving her left hand, with a big smile, and holding a huge suitcase with the other. There wasn’t time to think about how to hold a conversation. The time had come to HOLD a conversation. “Konnichi wa Luca san, genki desu ka”? – said Saeko while hugging me. “Konnichi wa” – I replied, with a bit of an embarrassed smile. And after grabbing her suitcase and starting to go down the stairs, I said “ikimashoo (let’s go)” and off we went. Given the size of Saeko’s suitcase, we decided to grab a cab, even though my apartment is just 10 minute walking distance from the station. I started chatting with the taxi driver in Italian, and Saeko, in Japanese. I realised I was speaking Japanese without thinking too much about it. I was still struggling, but less. It was as if the psychological barrier for talking to her had eased a bit. I didn’t know more words than the day before, or anything else new, it was simply a psychological thing. The first thing that I normally do is to show my apartment to guests, starting with the room where they can drop the luggage, and then the rest of the apartment. Saeko was no exception, so when we arrived home, I showed her where I live. Saeko was nodding, with an amused expression on her face. I noticed she had a bemused look on her face, but didn’t bother asking why. Only later would my friend Luca (another one, not me 🙂 ) told me that Japanese people don’t show the whole apartment to guests, only the rooms that guests are going to use. After showing her the apartment, I took a very quick nap, and given the incredible weather, we then went jogging in the park. As soon as we started running, I started trying to tell Saeko in Japanese how much I love the park, that I jog there often, that I like the green, the nature, the trees. It was coming together in bits and pieces, but regardless of the result, what really mattered was the free feeling. That nice, warm feeling I get after overcoming a mental block. If I stumbled while speaking, I smiled. If I couldn’t finish a sentence, Saeko would help me. If my mind went completely blank, I would continue in Italian. The important things were our bodies running, the smell of the air, the colors, and, yes, our conversation. I was not thinking about performing anymore, as I did when we spoke on Skype (unconsciously). I was just focused on enjoying the moment and communicating. It was getting better and better. After a 30 minute run, we started making our way back home. The nice weather, previous conversation and the chemical happiness brought on by the serotonin released during the run filled me with joy, and sense of accomplishment. I felt like a kid, discovering the world again for the first time, only in Japanese. Suddenly a guy jogging with his dog passed us by. “Cane” – how do you say that in Japanese? I had already seen the word, I knew it. And yet, despite having seen it multiple times, I hadn’t made it mine. “I-nu” – says Saeko. And then says the word again, slower: “i-NU”. The moment I heard it, I knew I’d never forget it. “tatoeba, iNU wa …” – Saeko started saying as she put the word “dog” into a sentence. “The dog” I said. I immediately noticed that the particle ‘wa’, which is something used to introduce something in Japanese, was low pitched. I asked Saeko whether I had noticed correctly. Japanese is a special language in this regard, and normally syllables within the same word have different heights, and this involves also the particles that follow these words. Noticing these things is key if you want to have good intonation and pronunciation in Japanese. A good example of this is how to pronounce the word “hashi”, you can watch a video explaining it here. そうですよルカさん　“Yes, Luca San” – replies Saeko. “that goes for all particles coming after the word inu: iNU-o, iNU-ga, iNU-wa etc”. I was killing 2 birds with one stone. No actually, 3. I had learned the word “dog”, connected the word with the dog I had seen in the park, and I also learned its correct pronunciation and isolation. This small discovery fueled my motivation and drove to start asking more questions. As soon as we got back home, we got cleaned up and went straight downtown. Saeko had brought me a few notebooks I had asked her to buy in London. I grabbed one and gave it a title – JAPANESE – I then wrote the date down and put it my jacket pocket. After walking for some time we went to one of my favourite restaurants – the old bear – which looks like a tavern. We ordered two “Timballi” and two pints. We were slightly tired but happy and hungry for food and language. The alcohol on a empty stomach started taking effect, and amplified that feeling of happiness and eagerness to learn. We start having an interesting conversation in Japanese about a lots of different things. The conversation at the bar went smoothly, with just a few pauses. We enjoyed the meal and the conversation. Suddenly I asked her: “Saeko san, how do you say “eating with (your) hands?” And she writes “手で食べます、て-te, mano. * She showed me the palm of her hand and repeated “te”, pointing out that it indeed looks like a “te”. “Makes sense” I said. I knew instantly that I would not forget the word “hand” again. “It is about making the right associations in the right context” I thought before taking another sip of beer. After spending some more time in the bar, we decided to go to have a couple of drinks on our way home. From Piazza Navona we went to Trastevere, and went to one of my favourite bars. We order a couple of cocktails. “酔っ払ってるの、ルカさん？” – “are you drunk Luca san”? – Saeko asks with a giggle. “Not yet Saeko san” I reply with a smile. Her questions prompts a number of thoughts in mind head. Now, alcohol can have 2 opposite effects: it can loosen your tongue or it can make you slur your words when you take too much. The right amount of alcohol can do wonders. When that happens, when everything becomes easier, we often wonder what happens when we struggle with words and sentences. Words, sounds and phrases which are normally trapped inside escape our mouths freely. This highlights that sometimes to improve in a foreign language, we don’t need to learn new things, but instead learn to convey what we already know to those around us. We had a great time taking pictures, laughing, making jokes. 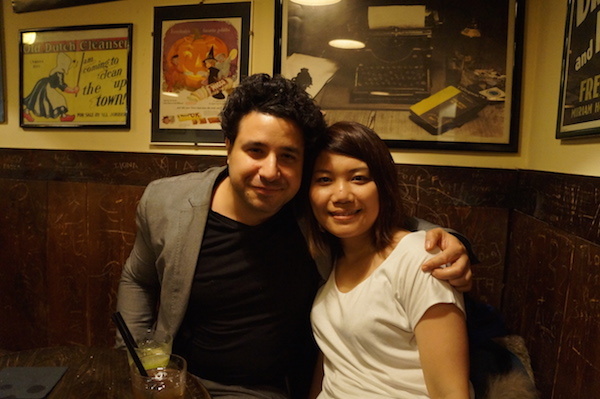 Talking about cultural differences between Europe and Japan. I had a fantastic time. All of a sudden, I realize that I had been drinking way too much, and we decided to go home on foot. I told Saeko that it would take us more than 30 minutes to get back home, she didn’t mind. It didn’t matter. We spent the journey having interesting conversations. I think before falling into a dreamless sleep. I didn’t know that this was, literally, just the beginning of a great learning adventure. 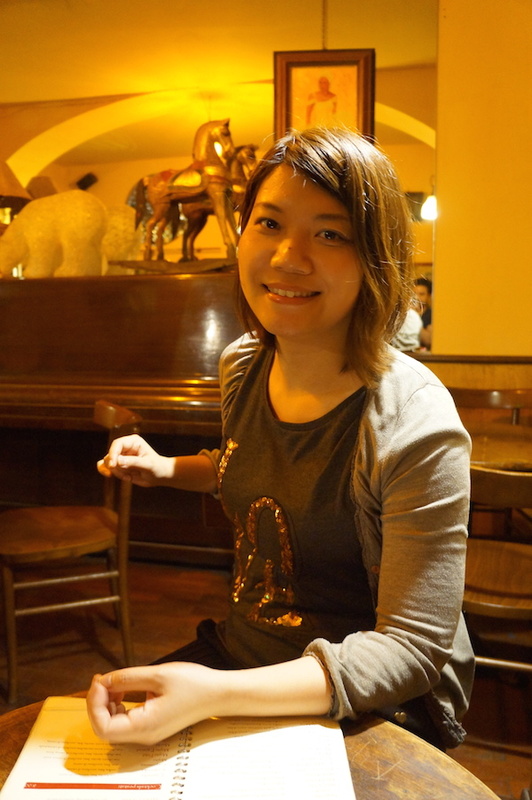 I had discovered something amazing right here in Rome, that helped bring my Japanese alive.